Play comes naturally to kids. Whether at home, on the playground, at school or somewhere else, kids always seem to find a way to play and engage with their surroundings. Play-based learning uses this desire for interaction, along with the natural curiosity kids have, to make connections with various subjects. Especially popular in early childhood education and the lower elementary grades, play-based learning activities make things like math, science and literacy fun and relatable to kids. They get to discover problems and figure out how to solve them all while doing what comes naturally to them. Not only does this educational strategy help you teach basic concepts, but it also inspires creativity and builds social skills that are so important for kids. 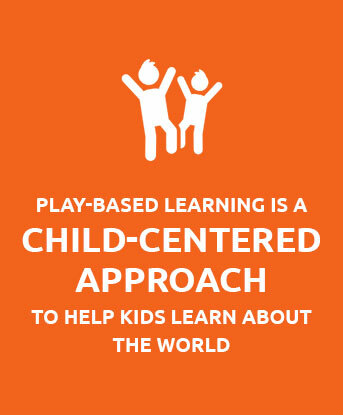 Play-based learning is a child-centered approach, with some adult support, to help kids learn about the world. Kids already know how to play and they learn through play on their own. This learning approach brings that natural way of exploring the world into the classroom and onto the playground. It’s not an organized learning activity led by a teacher. Instead, kids enjoy free play where they choose what they do and how they interact with things. This unstructured playtime gives kids the chance to choose things that interest them rather than being told what they need to do. Play-based classrooms include lots of different items that encourage play, creativity and learning. These days, society places so much emphasis on learning the basics and doing well on standardized tests. Kids are expected to know more at a younger age, too. Play often disappears from the curriculum in favor of worksheets, flashcards and academic drilling. When this happens, kids miss out on the chance for self-guided learning through play. At the preschool level, play is a key method for kids to figure out the world around them. Play-based learning puts the emphasis back on a natural approach to learning. Even though the kids choose how they play, the teacher can guide that learning by offering play materials that relate to the lessons and concepts. This method aims to create meaningful learning experiences while encouraging kids to explore and follow their curiosity. Think of it as learning in real-world situations instead of through textbooks or worksheets. Kids engage all of their senses instead of just listening to information or doing work at their seats. What Is the Teacher’s Role in Play-Based Learning? The teacher chooses the materials and play items strategically to reinforce certain concepts. For example, if preschoolers are learning about communities in a Social Studies class, the teacher might bring in dress-up clothes for different people in a community, like police officers, garbage collectors, firefighters and chefs. Other items might include a playset that looks like a town, buildings made from cardboard boxes, signs for different businesses found in a community and menus from local restaurants. These items encourage kids to explore the idea of community in their own ways as they choose how to play with the items. Another role of the teacher is encouraging exploration. If a child dresses up as a police officer and pretends to help someone, the teacher might comment on how police officers help the community to reinforce the idea. Teachers can also ask questions to encourage kids to think more about the concepts. However, the teacher shouldn’t guide the activity or try to change how the kids play with the items. An important aspect of play-based learning is letting the kids take the lead. Finding that balance between leading learning and gently pushing kids toward discovering things on their own is often the most difficult part of play-based learning. Play-based learning supports learning in a developmentally appropriate way. It lets all kids participate regardless of how quickly they learn. Kids take control of their learning with some encouragement from the teacher based on the materials that are available. Play-based learning helps kids in many different aspects of development. It can help them learn classroom concepts, certainly, but it also helps with their personal vocabulary, problem-solving skills, critical thinking and socialization. Creativity: Open-ended play lets kids be creative with how they interact with things. Vocabulary: Kids expand vocabulary as they interact with new things. They may learn new words from their peers as they play. Teachers can expand vocabulary by talking with kids about what they’re doing and offering them words for different things. Introduce new words related to what the child is playing or ask questions that encourage the kids to talk. Problem-solving: Play often presents situations that call for problem-solving skills. They might need to figure out how to do something or how to work together with peers. During dramatic play, they have to decide which roles to take and how those roles interact, for example. Concentration: When kids get to choose what they do, they’re more likely to show interest and stick with the activity. They get more out of the activity because they’re actively engaged and focused. Social skills: The free play format encourages kids to interact with one another, which helps build social skills. They learn to communicate ideas and cooperate. Social skills are so important not only in the classroom but life in general. Emotional development: Play opportunities help kids develop empathy and explore feelings. Dramatic play is particularly helpful. Kids play different roles and explore how others might feel. They can also learn how to keep their emotions under control while interacting with their peers. Stress relief: Traditional classroom learning can put a lot of pressure on kids — especially those who may be behind developmentally. Play is something that kids enjoy. They might feel calmer while they play. They’re learning, but they don’t feel the same pressures that they might during traditional learning. Decision-making: Since kids get to pick what they do, play-based learning can help them develop decision-making skills. They decide not only what to play with but also how to interact with those items. Independence: Kids are responsible for their own actions. Instead of relying on a teacher to tell them exactly what to do, kids act independently as they explore the play options. Confidence: All kids can play regardless of their background knowledge or ability level. They find success in the classroom with play-based learning. That success can help build confidence that may make school seem less intimidating. Physical development: Play requires movement. Kids use fine motor skills to manipulate small toys and gross motor skills when they run around and play actively. The more they practice both types of motor skills, the faster they develop those abilities. Active learning: When kids play, they’re actively engaged. Being mentally active helps kids learn better than they do when they’re learning passively. Real-world connections: Play helps kids connect ideas to their lives. When they play in a store-themed dramatic play area, they might connect it to trips to the store they take with their parents. 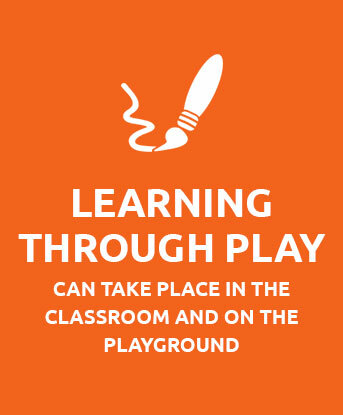 Learning through play can take place in the classroom and on the playground. Many concepts you might traditionally teach with a teacher-led activity can be learned or practiced through play. Even if you teach a lesson directly on a particular subject, you can give kids hands-on practice with the concept through free, unstructured play. Play-based learning doesn’t mean you should toss your curriculum out the door. The objectives and goals of your curriculum can guide your play-based learning activities. Play is an effective way to reinforce the ideas you want the kids to learn. It’s also a good way for them to apply the concepts in their own way. Playing with shape blocks lets the kids interact with geometric principles, for example. Think of it as an alternative teaching method for the ideas you’re already presenting or as a way to reinforce and explore the new concepts presented in the classroom. You can also use your observations of the kids playing to plan future activities and additions to the curriculum. When you let kids choose how they play, they follow their interests and stay engaged. Watch your students as they play to see what keeps their interest. Are several of the students drawn to the magnets you put in the science center? Are they intrigued by making transactions at the playground store? Use those observations to plan your curriculum. You might bring in more related activities and play opportunities based on what the kids enjoy. Reading books that relate to the interest helps build understanding. You can also plan group learning activities related to the topic. In the shop example, you might give kids fake money and set up a pretend grocery store. One group can be cashiers and grocery store workers and the other half can be customers making purchases. Set aside time to talk about what kids are learning during play. The kids can learn from each other and draw conclusions as a group. You can ask questions that help them dig deeper into the topic. You might even come up with new theories as a group and then test them on the playground. Playing encourages kids to look at problems in different ways. They can safely test out solutions for the situations that pop up during play. As they interact with each other and objects in different ways, they start making connections and drawing conclusions. When you tailor those play activities toward the concepts you want the kids to learn, you help reinforce your curriculum. It’s a way for the kids to explore and learn for themselves, drawing their own conclusions as they go. The social aspect of play also helps develop theories and the way kids understand things. Students often share their ideas with one another. For example, if a child is having trouble building a blanket fort, another student might suggest a new way to make it. If that method doesn’t work, the kids might come up with a new way together. Sometimes kids might share knowledge that they have with one another. A child who lives on a farm can share details about the lifestyle while playing with a barn playset with their peers. The physical environment in the classroom and on the playground affects how kids learn and play. The setup can affect how the kids behave during play. It can either encourage them to explore and take risks or it can cause frustration and get in the way of meaningful play. A loud play area right next to a quiet activity area makes concentration difficult, for example. Aim for a well-organized classroom, or other play environment, that makes your students feel comfortable. Creating learning centers is a popular way to organize the physical environment in early childhood education. Common learning centers include dramatic play, building, literacy, writing, art, math, sensory and science areas. Materials for each of the types of learning go into those areas so kids have a specific place to explore. During free play time, the kids can move between the centers to engage in play-based learning on their own terms. You might want to set some boundaries. For example, teachers often limit the number of kids in a particular learning center at one time to avoid overcrowding and to give the kids access to the materials without fighting over them. When arranging the different play areas, consider how they might interfere with one another. A messy sensory area next to the literacy center may result in ruined books, for instance. Outdoors, have a designated area for things like riding tricycles to avoid collisions with kids who are playing other games. Make sure each play area allows for enough space to accommodate the activity comfortably. Appearance is also important. Play areas should appeal to kids so they’re interested in doing the activities. Filling each play area with lots of interesting objects is a good start. You can also hang pictures or images of student work to entice kids to play. In a building center, you might post blueprints, pictures of famous buildings, examples of block structures for them to replicate and photos of past towers students in the class have built. Picture books about buildings can also spark interest. 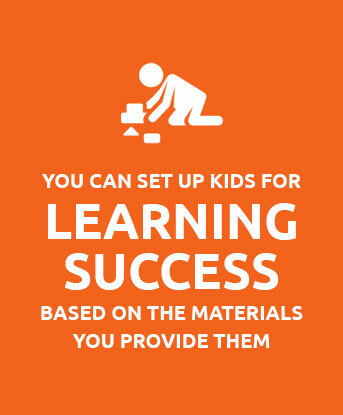 Even though play-based learning should be open-ended and child-directed, you can still set the kids up for learning success based on the materials you provide for them. Play-based learning naturally supports learning in many different areas, including math and literacy. The specific lessons and concept you want to teach influence what you plan, but we’ve collected a variety of activities that work for different subject areas below. Some of the activities overlap into different subjects. For example, a dramatic play center set up like a post office teaches social studies and literacy concepts. Kids explore how a post office functions within the community. They also see words visually and can write letters to build their literacy and verbal skills. Kids can practice or explore basic math concepts through a variety of play options. Having lots of different counters in the classroom lets kids practice concepts like counting and sorting. Counting, adding and subtracting come to mind with early childhood math, but the subject uses many other skills. Patterning is a big part of building early math skills. Kids can look for patterns and create their own by arranging items in a particular order. Spatial skills are also important when it comes to learning math. Geometry and shapes play into the spatial awareness. Kids playing with differently shaped blocks might learn how the different pieces fit together. The blocks help reinforce the students’ knowledge of shapes. Early literacy skills don’t have to happen only with books. Of course, young kids need exposure to text, books and modeled reading, but they can also learn foundational skills through play. For example, kids often use objects to represent things while they play. A child might pretend a blanket is a cape or a box is a bear cave. The idea of representing one thing with another supports the concepts of letters and sounds. You can build your play areas around new vocabulary you’re introducing to the kids. In a unit on royalty, you might introduce words like “ruler,” “princess,” “throne,” “castle” and “monarch.” Reading picture books related to the subject introduces some of those vocabulary words. Play areas might include a giant castle made out of appliance boxes, a miniature castle playset, a classroom chair decorated like a throne and dress-up clothes related to royalty. When the kids play in those areas, they can use the new words they learn. You can support that language development by making comments or asking questions. You might say, “Look at you, Lucy. You’re sitting on a throne wearing a tiara. You must be a queen!” The same concept works for any theme and vocabulary words. Early childhood social studies curricula often focus on communities and cultures. Kids are just starting to learn about life beyond themselves and their families. Many dramatic play activities fit in with the social studies curriculum well. You can create a dramatic play center based on government or another part of the community to build on that concept. You might set up a dramatic play area related to a different culture or a period in history. It’s tough for young kids to imagine a life different than their own. Giving them play opportunities that make those cultures or historical periods come to life makes it a lot more concrete. Another concept related to social studies is building a community. You have your own little community in your classroom. Letting kids play freely and make up their own scenarios and rules helps them develop relationships with their other classroom community members. Playing together develops the social skills kids need to participate in a community of learners. You can tailor these activities to specific concepts you’re learning about. You might bring in dress-up clothes from the pioneer days, for example. If you’re studying a particular culture or country, you can give the kids toys from that specific place. For your travel agency play area, you might focus your maps on a certain part of the world. Science naturally lends itself well to hands-on exploration and play. Kids are budding scientists already, filled with natural curiosity. They constantly test out theories each time they interact with something new. While playing, kids often face situations that don’t quite work how they want or expect. When a child builds a tower and places smaller blocks on the bottom with larger blocks on top, she quickly learns that strategy won’t work. Perhaps a child tries to roll a car on carpet only to find out the toy doesn’t go very far. On the playground, a child might try to have rubber dinosaur go down a slide and discover how difficult it is. These situations all relate to scientific explorations and the properties of the natural world. Kids naturally develop theories on what’s causing the problem and how to fix it. In other words, they’re becoming scientists and explorers. The idea of cause and effect is another big part of both play and science. Almost every type of play has a cause and effect element. A child pedals a tricycle and it moves forward. Someone pushes a classmate on a swing, so the child moves. A student pours water onto sand and it becomes wet and sticks together better. Exploring cause and effect helps kids understand scientific concepts. That type of scientific exploration can happen at any time during play, but you can also direct kids toward learning specific scientific principles. You might bring in nature items that they can feel, play with and explore. During a weather unit, you might fill your sensory table with snow. When learning about the senses, you can bring in scented items to explore the sense of smell or instruments to explore hearing. You might make a playhouse out of cardboard with different fabrics and materials on the inside to test out the sense of touch. Teachers often think of learning centers to support play-based learning, but the school playground is a huge resource that’s perfect for hands-on, play-based exploration. The playground offers wide open spaces that are better-suited to active play. Larger groups of kids can play together without the space restrictions you might face in the classroom. The play structures on the playground also offer unique opportunities for exploration and learning. Kids often pretend that playground equipment is a rocket ship, boat or another planet. If you’re learning about kings and queens in the classroom, you might overhear the kids imagining the playset is a castle. You can encourage the play by suggesting the area surrounding the play equipment is a moat filled with alligators. Educational playground games start with high-quality equipment that encourages kids to be creative. If you already have playground equipment at your disposal, you can get creative with how you use the components. A slide helps kids learn about gravity or the steps on the playground can give them a chance to practice counting. If you’re planning a new playground or expanding your existing outdoor place space, look for components that encourage play-based learning. 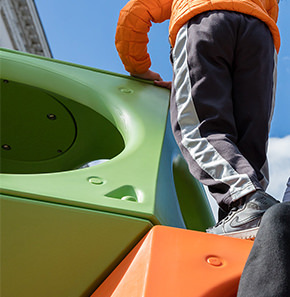 Activity panels add an interactive element to your playground. They’re typically small sections of a larger playset with an activity built into them. An example is a panel with a maze where kids direct objects through paths or a racetrack that lets kids move a car around the loop. Another popular option is a gear-style panel. When students turn a crank, the gears in the panel turn. A driver panel encourages kids to use their imaginations as they turn the steering wheel and shift the gears. Other activity panels might feature letters, numbers, shapes, animals and other basic concepts. When kids play with these panels, they become familiar with the concepts and get to practice recognizing them. Sensory play areas also complement the play-based learning approach. Sensory experiences engage kids and encourage them to explore further. A common option on playground equipment is to integrate musical instruments into the design. Bells, xylophones and drums are examples of musical instruments that might appear. Another type of sensory experience is a spinning section with small balls or other objects that bounce around as the section spins. Varied textures on the play surfaces also provide a sensory experience. Themed playgrounds offer a built-in play scenario that encourages creative play. For example, Playworld offers themes like nautical, castle and nature playgrounds. These themed playsets inspire kids to use their imaginations. They can develop stories based on the themed surroundings. Playing different roles within that story context encourages kids to develop their vocabularies. Teachers can encourage language development by talking about things like the bow of the ship, for example. Playworld offers a wide range of playground structures and components that support play-based learning. The options go far beyond the standard playground equipment to include interactive elements and detailed themes. A new playground from Playworld is sure to get the kids excited for outdoor playtime, but we offer so much more. Our inclusive playground designs set us apart from other playground companies. Creating an inclusive playground ensures all of your students can access the same opportunities to learn through play. A truly inclusive playground does more than provide access, though. It encourages kids of all ability levels to play together. Play-based learning relies on kids interacting with one another, so an inclusive playground design helps support that idea. This style of learning also focuses on the ability of all students to participate, regardless of their ability level. When all kids have access to outdoor play equipment, you’re better able to fulfill that obligation. You certainly don’t have to be an expert playground designer to purchase our playground equipment, either. We can assist you throughout the design process so you get exactly what you want and need. We have a team of play experts ready to make your playground a reality. Even if you’re not sure exactly what you want, we can help you design a playground that’s both safe and appealing to kids. Input from engineers and child development experts helps us create equipment and designs that work. Financing is another area in which we can help. A quality playground is worth the investment, but it can seem challenging to come up with the funding. We offer resources for finding funding for your playground purchase. 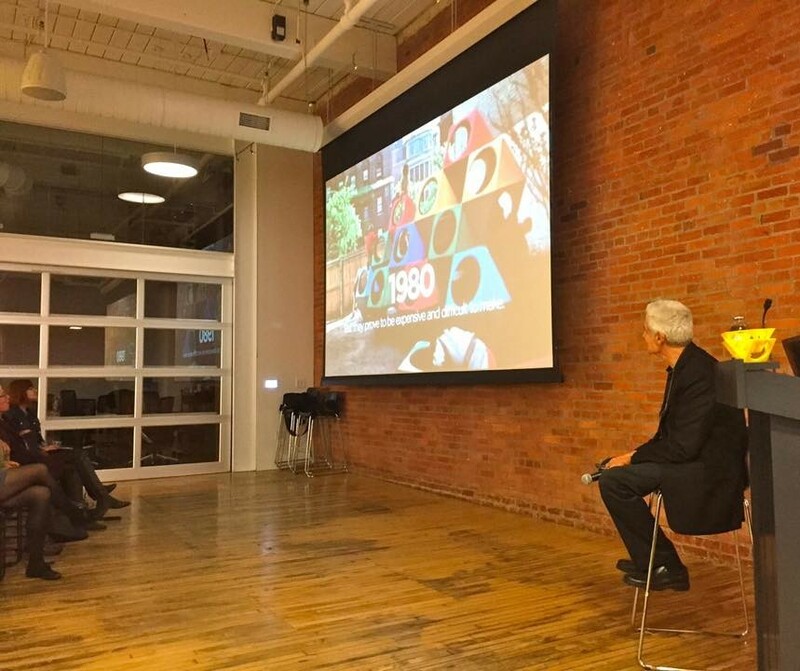 Things like fundraising, crowdsourcing and grant funding can help you generate enough money to get your playground project rolling. Playworld also offers budgeting advice and financing options that can help you get what you want without going over your budget. Our phasing program lets you purchase and install your playground one small segment at a time. You pay for each segment as you go. When you’re ready to add on and have the funding secured, you can purchase and install the next section. 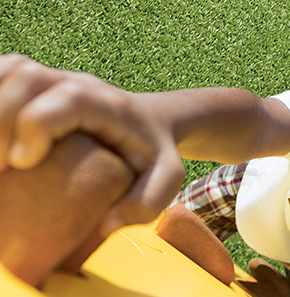 If you prefer to build the entire playground at once, our leasing program may fit your needs. You have the choice to finance up to 100 percent of the cost of the equipment, freight and installation for your entire playground. You don’t have to go through the traditional bank loan process and you don’t need a large cash down payment. We can work with you on a payment plan that fits your budget. You officially become the owner of the playground equipment for $1 at the end of your lease. play area that supports learning in the classroom and beyond. From learning panels and sensory experiences to themed playgrounds that encourage imaginative play, we offer a wide range of options to help your vision come to life. Can a small playground encourage inclusive play?